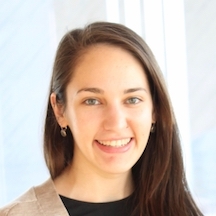 Megan Sperry, a Ph.D. student in the Department of Bioengineering, is a recipient of a Student Design and Research Award from the Biomedical Engineering Society (BMES). Megan works in the Spine Pain Research Lab of Beth Winkelstein, Ph.D., professor of Bioengineering and Vice Provost for Education at Penn’s School of Engineering and Applied Science, as well as with Eric Granquist, DMD, MD, an oral and maxillofacial surgeon at Penn Dental Medicine. With Drs. Winkelstein and Granquist, Megan studies temporomandibular joint (TMJ) pain and osteoarthritis, the latter of which can develop as a long-term consequence of untreated TMJ dysfunction. 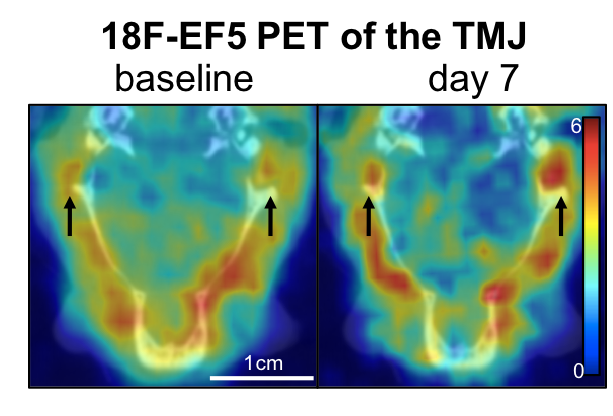 There’s currently no way to determine which patients will progress to TMJ osteoarthritis, so Megan’s extended abstract, which was submitted to the BMES competition, detailed a study using 18F-EF5 PET, an imaging modality used mainly in oncology. Hypothesizing that hypoxia, or low oxygen, was a key factor in the development of TMJ osteoarthritis, Megan studied the relationship between hypoxia and persistent TMJ pain and found that hypoxia preceded reorganization of the cartilage of the TMJ, part of the process culminating in TMJ osteoarthritis (see image below). An example of 18F-EF5-PET imaging of the TMJ. Each year, BMES awards up to five graduate students the Student Design and Research Award from dozens of submissions. Congratulations to Megan for this elite recognition of her research! Synthetic biology (SynBio) is an important field within bioengineering. Now, SynBio and its relationships with nanotechnology and microbiology will get a big boost with a $6 million grant from the National Science Foundation awarded to the lab of Jason Gleghorn, Ph.D., assistant professor of biomedical engineering at the University of Delaware. The grant, which comes from the NSF’s Established Program to Stimulate Competitive Research, will fund research to determine the interactions between a single virus and single microbe, using microfluidics technology so that the lab staff can examine the interactions in tiny droplets of fluid, rather than using pipettes and test tubes. They believe their research could impact healthcare broadly, as well as perhaps help agriculture by increasing crop yields. While must SynBio research is medical, the technology is now also being used in making commercial products that will compete with other natural or chemically synthesized products. Antony Evans’s company Taxa Biotechnologies has developed a fragrant moss that he hopes can compete against the sprays and other chemicals you see on the store shelves. Using SynBio principles, Taxa isolates the gene in plants causing odor and transplants these genes to a simple moss in a glass terrarium that, with sufficient sunlight, water, carbon dioxide, will provide one of three scents completely naturally. Technically, the mosses are genetically modified organisms (GMOs), but since people aren’t eating them, they aren’t likely to generate the controversy raised by GMO foods. Taxa has also been working on transplanting bioluminescence genes to plants to provide light without requiring electricity, all as a part of a larger green campaign. A division of the U.S. Department of Defense, the Targeted Neuroplasticity Training (TNT) program of the Defense Advanced Research Projects Agency (DARPA) will fund the research of Stephen Helms Tillery, Ph.D., of the School of Biological & Health Systems Engineering at Arizona State University, who is investigating methods of enhancing cognitive performance using external stimulation. The ASU project is using transdermal electrical neuromodulation to apply electrical stimulation via electrodes placed on the scalp to determine the effects on awareness and concentration. DARPA hopes to obtain insight into how to improve decision making among troops who are actively deployed. The high-stress environment of a military deployment, combined with the fact that soldiers tend to get suboptimal amounts of sleep, leaves them with fatigue that can cloud judgment in moments of life or death. If the DARPA can find a way to alleviate that fatigue and clarify decision-making processes, it would likely save lives. End-stage organ failure can be treated by transplantation, but waiting lists are long and the number of donors still insufficient, so alternatives are continually sought. In the field of regenerative medicine, which is partly dedicated to finding alternatives, scientists at Ohio State have developed a technology called tissue nanotransfection, which can generate any cell type within a patient’s own body. In a paper published in Nature Nanotechnology, professors Chandan Sen and James Lee and their research team describe how they used nanochip technology to reprogram skin cells into vascular cells. After injecting these cells into the injured legs and brains of mice and pigs, they found the cells could help to restore blood flow. The applications to organ systems is potentially limitless. For cardiac patients whose conditions can be treated without need for a transplant, who make up the vast majority of this cohort, stents and valve prostheses are crucial tools. However, these devices and the procedures to implant them have high complication rates. Currently, patients receiving prosthetic valves made in part of metal must take blood thinners to prevent clots, and these drugs can greatly diminish quality of life and limit activity, particularly in younger patients. At Cornell, Jonathan Butcher, Ph.D., associate professor of biomedical engineering, is developing a prosthetic heart valve with small niches in the material loaded with biomaterials to maintain normal heart function and prevent clotting. While it has been possible for some time to coat the surface of an implant with a drug or chemical to facilitate its integration and function, these niches allow for a larger depot of such a material to be distributed over a longer period of time, increasing the durability of the positive effects of these procedures. A number of medical diagnoses are accomplished by testing of bodily fluids, and spectrometry is a key technology in this process. However, spectrometers are expensive and usually not very portable, posing a challenge for health professionals working outside of traditional care settings. Now, a team led by Brian Cunningham, Ph.D., from the University of Illinois, Urbana-Champaign, has published in Lab on a Chip a paper detailing their creation of a smartphone-integrated spectroscope. Called the spectral Transmission-Reflectance-Intensity (TRI)-Analyzer, it uses microfluidics technology to provide point-of-care analysis to facilitate treatment decisions. The authors liken it to a Swiss army knife in terms of versatility and stress that the TRI Analyzer is less a specialized device than a mobile laboratory. The device costs $550, which is several times less than common lab-based instruments. Stanford’s Department of Bioengineering has announced that Jennifer Cochran, Ph.D., will begin a five-year term as department chair beginning on September 1. Dr. Cochran arrived at Stanford in 2005 after earning degrees at the University of Delaware and MIT. 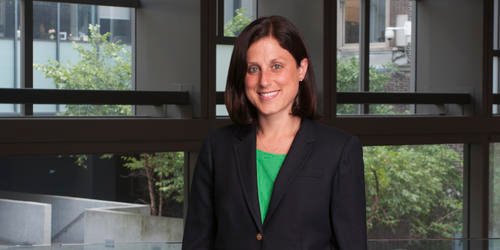 Cochran has two connections to Penn – she is currently serving as a member of our department advisory board and completed her postdoctoral training in Penn Medicine. Our heartiest congratulations to her! The chapter of the Biomedical Engineering Society (BMES) at the University of Pennsylvania has won the Student Outreach Achievement Award from the society. This is the second time in three years that BMES at Penn has won the award, for which more than 60 other chapters compete. The award acknowledges the efforts of Penn BMES to establish relationships with the surrounding community. For instance, Junior Beta Day, held in the spring semester, saw Penn BE students hosting approximately 60 local middle school students for a day on campus, during which they interacted with members of the faculty and engaged in activities centered on bioengineering. In addition, the Penn BMES chapter has participated in local neighborhood revitalization initiatives and acted as mentors. Founded in 1968, BMES is a 501(c)(3) nonprofit professional association acting as a lead society for 7,000 members and 115 student chapters. 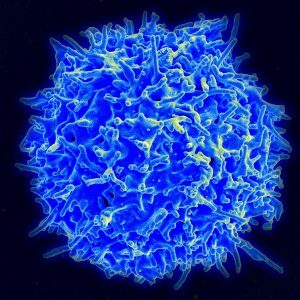 A healthy human T cell, one of the key immune system cells. Organ transplantation is a lifesaving measure for people with diseases of the heart, lungs, liver, and kidneys that can no longer be treated medically or surgically. The United Network for Organ Sharing, a major advocacy group for transplant recipients, reports that a new person is added to a transplant list somewhere in America every 10 minutes. However, rejection of the donor organ by the recipient’s immune system remains a major hurdle for making every transplant procedure successful. Unfortunately, the drugs required to prevent rejection have serious side effects. To address this problem, a research team at Cornell combined DNA sequencing and informatics algorithms to identify rejection earlier in the process, making earlier intervention more likely. The team, led by Iwijn De Vlaminck of the Department of Biomedical Engineering, report in PLOS Computational Biology that a computer algorithm they developed to detect donor-derived cell-free DNA, a type of DNA shed by dead cells, in the blood of the recipient could predict heart and lung allograft rejection with a 99% correlation with the current gold standard. The earlier that signs of rejection are detected, the more likely it is that an intervention can be performed to save the organ and, more importantly, the patient. Meanwhile, at Yale, scientists have used nanoparticles to fight transplant rejection. 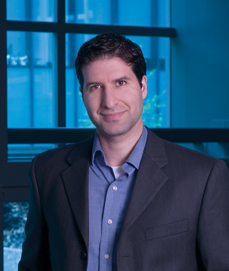 Publishing their findings in Nature Communications, the study authors, led by Jordan S. Pober, Bayer Professor of Translational Medicine at Yale, and Mark Saltzman, Goizueta Foundation Professor of Chemical and Biomedical Engineering, used small-interfering RNA (siRNA) to “hide” donated tissue from the immune system of the recipient. Although the ability of siRNA to hide tissue in this manner has been known for some time, the effect did not last long in the body. The Yale team used poly(amine-co-ester) nanoparticles to deliver the siRNA that extended and extended its duration of effect, in addition to developing methods to deliver to siRNA to the tissue before transplantation. The technology has yet to be tested in humans, but provides an exciting new approach to help solve the transplant rejection challenge in medicine. A group of engineering students at Wright State University, led by Thomas N. Hangartner, professor emeritus of biomedical engineering, medicine and physics, traveled to Malawi, a small nation in southern Africa, to build a digital X-ray system at Ludzi Community Hospital. Once on site, Hangartner and his student team trained the staff to use system on patients. The group hopes they have made a significant contribution to improving the standard of care in the country, which currently allocates only 9% of its annual budget to healthcare. While the project admitted has limited impact, it’s important to bear in mind that expanding public health on a global level is a game of inches. The developing world will rise to the standards of the developed world one village at a time, one hospital at a time. Speaking of Africa, the recent Ebola outbreak in West Africa had global implications and prompted many international organizations to identify better methods to identify early signs of outbreak. Since diseases like Ebola can spread rapidly and aggressively, detecting the outbreak early can save thousands of lives. To this end, Tony Hu of Arizona State University’s School of Biological and Health Systems Engineering has partnered with the U.S. Army to develop a platform using porous silicone nanodisks that, coupled with a mass spectrometer, could be used to detect Ebola more quickly and less expensively. In particular, by determining the strain of the Ebola virus detected, treatment could be more specifically individualized for the patient. Dr. Hu presents the technology in a video available here. Karen Moxon, professor of biomedical and mechanical engineering at the University of California, Davis, recently showed that rats with spinal injuries recovered to a more significant extent when treated with a combination of serotonergic drugs and physical therapy. Dr. Moxon found that the treatment resulted in cortical reorganization to bypass the injury. Many consider combining two different drugs to treat a disease or injury; Moxon’s clever approach used a drug in combination with the activation of cortical circuits (electroceuticals), and approach that was not considered possible with some types of spinal cord injuries. At Stanford, Karl Deisseroth, professor of bioengineering and of psychiatry and behavioral sciences, led a study team that recently reported in Science Translational Medicine that mice bred to have a type of autism could receive a genetic therapy that caused their brain cells to activate differently. Although the brains of the autistic mice were technically normal, the mice were unsocial and lacked curiosity. Treatment modulated expression of the CNTNAP2 gene, resulting in increased sociability and curiosity. Their findings could have tremendous implications for treating autism in humans. Elsewhere in neurotech, Cornell announced its intention to create a neurotech research hub, using a $9 million grant from the National Science Foundation. Specializing in types of neurological imaging, the new NeuroNex Hub and Laboratory for Innovative Neurotechnology will augment the neurotech program founded at Cornell in 2015. Two important B(M)E department have developed new programs. In Montreal, McGill University has introduced a graduate certificate program in translational biomedical engineering (video here). Also at the annual meeting of the American Society for Engineering Education in Columbus, Ohio, an interdisciplinary group of scholars from Worcester Polytechnic Institute, including three professors of engineering, presented a paper entitled “The Theatre of Humanitarian Engineering.” The authors developed an experimental role-playing course in which the students developed a waste management solution for a city. According to the paper’s abstract, a core misunderstanding about engineering is the belief that it exists separately from social and political contexts. With the approach they detail, the authors believe they could address the largely unmet call for greater integration of engineering with the humanities and social sciences on the academic level. The vast majority of genetic mutations that are associated with disease occur at sites in the genome that aren’t genes. These sequences of DNA don’t code for proteins themselves, but provide an additional layer of instructions that determine if and when particular genes are expressed. Researchers are only beginning to understand how the non-coding regions of the genome influence gene expression and might be disrupted in disease. ​​​​​​​​​​​​Jennifer Phillips-Cremins, assistant professor in the Department of Bioengineering in the University of Pennsylvania’s School of Engineering and Applied Science, studies the three-dimensional folding of the genome and the role it plays in brain development. When a stretch of DNA folds, it creates a higher-order structure called a looping interaction, or “loop.” In doing so, it brings non-coding sites into physical contact with their target genes, precisely regulating gene expression in space and time during development. Phillips-Cremins and lab member Jonathan Beagan have led a new study identifying a new protein that connects loops in embryonic stem cells as they begin to differentiate into types of neurons. Though the study was conducted in mice, these findings inform aspects of human brain development, including how the genetic material folds in the 3-D nucleus and is reconfigured as stem cells become specialized. Better understanding of these mechanisms may be relevant to a wide range of neurodevelopmental disorders. Continue reading at the SEAS blog. 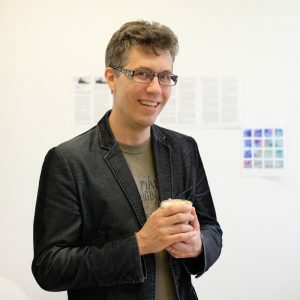 This week, we present our interview with incoming faculty member Konrad Kording, who starts as a Penn Integrates Knowledge Professor in the Department of Bioengineering and the Department of Neuroscience in the Perelman School of Medicine. Konrad and Andrew Mathis discuss what neuroscience is and isn’t, the “C” word (consciousness), and what it’s like for a native of Germany to live in the United States. There’s news in bioengineering every week, to be sure, but the big story this past week is one that’s sure to continue appearing in headlines for days, weeks, and months — if not years — to come. This story is CRISPR-Cas9, or CRISPR for short, the gene-editing technology that many geneticists are viewing as the wave of the future in terms of the diagnosis and treatment of genetic disorders. 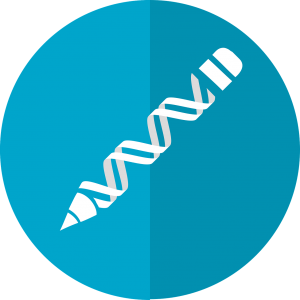 Standing for clustered regularly interspaced short palindromic repeats, CRISPR offers the ability to cut a cell’s genome at a predetermined location and remove and replace genes at this location. As a result, if the location is one at which the genes code for a particular disease, these genes can be edited out and replaced with healthy ones. Obviously, the impl ications for this technology are enormous. This week, it was reported that, for the first time, CRISPR was successfully used by scientists to edit the genomes of human embryos. As detailed in a paper published in Nature, these scientists edited the genomes of 50 single-cell embryos, which were subsequently allowed to undergo division until the three-day mark, at which point the multiple cells in the embryos were assessed to see whether the edits had been replicated in the new cells. In 72% of them, they had been. 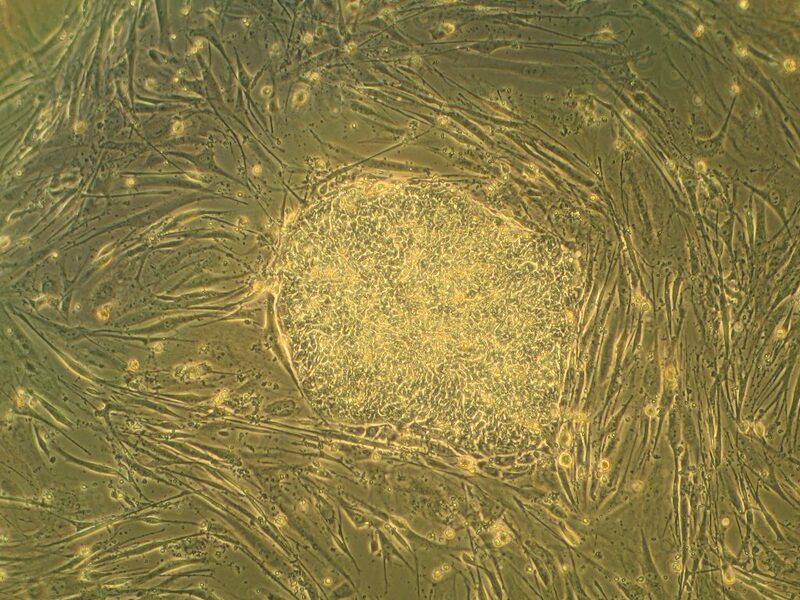 In this particular case, the gene edited out was one for a type of congenital heart defect, and the embryos were created from the eggs of healthy women and the sperm of men carrying the gene for the defect. However, the experiments prove that the technology could now be applied in other disorders. Needless to say, the coverage of this science story has been enormous, so here is a collection of links to coverage on the topic. Enjoy! Andrew Tsourkas, Ph.D., who is an associate professor in the Department of Bioengineering, cofounded PolyAurum LLC, a company using gold particles to develop technologies to improve cancer therapies, in 2015. Dr. Tsourkas founded the company with two faculty members from the Perelman School of Medicine: Jay Dorsey, M.D., Ph.D., and Dave Cormode, Ph.D., the latter of whom is also a secondary factory member in BE. The name PolyAurum combines the word polymer with aurum, the Latin word for “gold.” Gold has been found to be able to enhance the effects of radiation therapy in cancer without damaging healthy tissue. Dr. Tsourkas’s work with his colleagues at PolyAurum was featured recently in the The Philadelphia Inquirer. Debra Travers, the CEO of PolyAurum and herself a cancer survivor, was interviewed by the newspaper for its business section. have worked to make gold more biocompatible, resulting in PolyAurum’s current technology, Dorsey said. 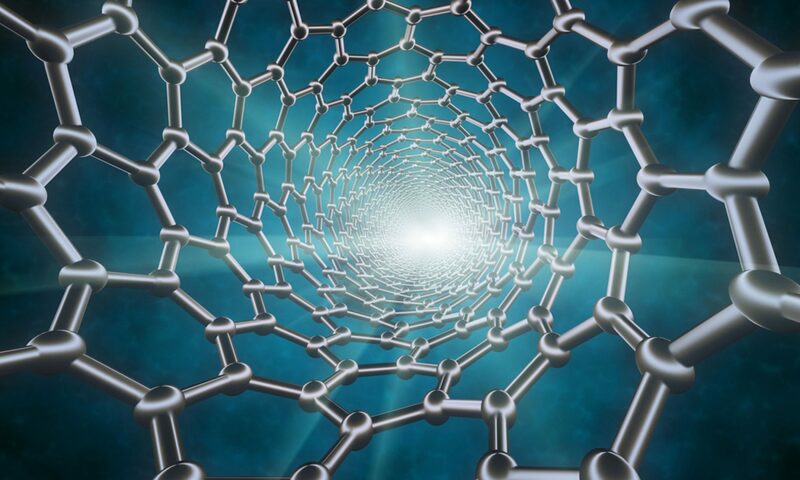 The gold nanocrystals are contained in a biodegradable polymer that allows enough metal to collect in a tumor. The polymer then breaks down, releasing the gold for excretion from the body so that it does not build up in key organs. Read more at the Inquirer Web site. 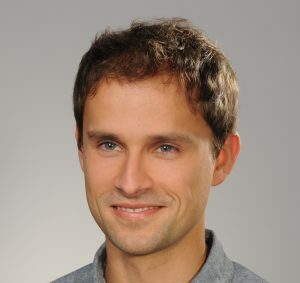 This week, we present our interview with incoming faculty member Lukasz Bugaj, who starts as an assistant professor at Penn BE in January. Lukasz and Andrew Mathis discuss tennis and crew, Lukasz’s subfield of optogenetics, and life as the child of a statistician. Please note: This was our first interview recorded by telephone. We will try to improve the quality of the audio, but for now, be advised that the questions are at a far lower volume than the responses, so set your volume, accordingly, particularly if you are listening on headphones. At Caltech, scientists are exploiting the information generated by body movements, determining how the brain codes these movements in the anterior intraparietal cortex — a part of the brain beneath the top of the skull. In a paper published in Neuron, Richard A. Andersen, James G. Boswell Professor of Neuroscience at Caltech, and his team tested how this region coded body side, body part, and cognitive strategy, i.e., intention to move vs. actual movement. They were able determine specific neuron groups activated by different movements. With this knowledge, more effective prosthetics for people experiencing limb paralysis or other kinds of neurodegenerative conditions could benefit enormously. Elsewhere in brain science, findings of chronic traumatic encephalopathy in football players have raised significant controversy. Seeking to better understand head impact exposure in young football players, scientists from Wake Forest University led by biomedical engineer Joel D. Stitzel, fitted athletes with telemetric devices and collected four years of data and more than 40,000 impacts. They report in the Journal of Neurotrauma that, while all players experienced more high magnitude impacts during games compared to practices, younger football players experienced a greater number of such impacts during practices than the other groups, and older players experienced a greater number during actual games. The authors believe their data could contribute to better decision-making in the prevention of football-related head injuries. Up in Canada, a pair of McGill University researchers in the Department of Neurology and Neurosurgery — Professor Christopher Pack and Dave Liu, a grad student in Dr. Pack’s lab — found that neuroplasticity might apply to more parts of the brain than previously thought. 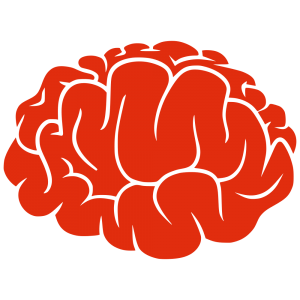 They report in Neuron that the middle temporal area of the brain, which contributes to motion discrimination and can be inactivated by certain drugs, could become relatively impervious to such inactivation if pretrained. Their findings could have impacts on both prevention of and cures for certain types of brain injury. If you’ve ever had a diagnostic test performed at the doctor’s office, you’ve had your specimen submitted to bioassay, a test in which living cells or tissue is used to test the sampled material. University of Washington bioengineer Xiaohu Gao and his colleagues used polydopamine, an enzyme occurring in shellfish, to increase the sensitivity of bioassays by orders of magnitude. As reported in Nature Biomedical Engineering, they tested the technology, called enzyme-accelerated signal enhancement (EASE), in HIV detection, finding that it was able to help bioassays identify the virus in tiny amounts. This advance could lead to earlier diagnosis of HIV, as well as other conditions. Mussels are also contributing to the development of new bioadhesives. Julie Liu, associate professor of chemical engineering at Purdue, modeled an elastin-like polypeptide after a substance produced naturally by mussels, reporting her findings in Biomaterials. With slight materials, Dr. Liu and her colleagues produced a biomaterial with moderate adhesive strength that demonstrated the greatest strength yet among these materials when tested under water. The authors hope to develop a “smart” underwater adhesive for medical and other applications. Discussions of alternative forms of energy have focused on the big picture, such as alleviating our dependence on fossil fuels with renewable forms of energy, like the sun and wind. On a much smaller level, however, engineers are finding smaller energy sources — specifically people. Reporting in ACS Energy Letters, a research team led by Vanderbilt’s Cary Pint, assistant professor in the Department of Mechanical Engineering and head of Vanderbilt’s Nanomaterials and Energy Devices Laboratory Nanomaterials and Energy Devices Laboratory, designed a battery in the form of an ultrathin black phosphorous device that can generate electricity as it is bent. Dr. Pint describes the device in a video here. Although it can’t yet power an iPhone, the possibility isn’t far away. Two BE/BME departments have named new chairs. At the University of Utah, David Grainger, who previously chaired the Department of Pharmaceutics and Pharmaceutical Chemistry, will become chair of the Department of Bioengineering. Closer to home, Michael I. Miller became the new chair of the Department of Biomedical Engineering on July 1. Congratulations to them both!